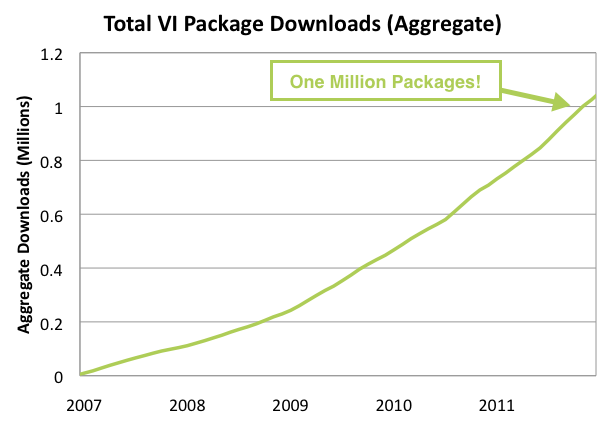 A few weeks ago, VI Package Manager celebrated a big milestone: the one-millionth VI Package was downloaded from the VI Package Network! On one hand, this was a long time coming, but on the other hand we've gotten here pretty quickly. 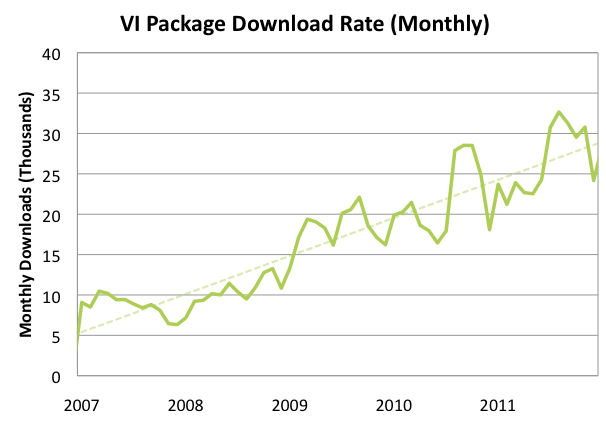 We started counting in 2007, and this graph shows the total VI Packages downloaded since then. We started off modestly; only about 100,000 packages were served the first year. After that, though, the curve starts to bend. If you divide the graph into two halves, it took about 40 months to serve the first 500,000 packages and only about 20 months to serve the next 500,000. There are some bumps in the data, but the monthly package download rate has been increasing linearly ever since we started tracking it and VIPM currently serves up around 30,000 packages per month. This means a lot of things. Obviously, we're proud of VIPM's success and we hope we're making it easier for people to create, share, and sell LabVIEW add-ons. The data, I think, implies we're making progress there. But more than that, it shows that the LabVIEW community and "LabVIEW Ecosystem" remain healthy, vibrant, and not just growing but accelerating. We wouldn't have these numbers without the strong community leadership we see from OpenG, LAVA, and NI Community members. Our data, then, doesn't just reflect the growth of VIPM, it reflects the growth of the LabVIEW platform itself. Every day, more and more people are doing better software engineering and solving harder problems in LabVIEW. We're proud to be a part of that, and we hope you'll celebrate with us. If you're not already using VI Package Manager, why not start today? You can get the free version of VIPM by clicking Find LabVIEW Add-ons... in the LabVIEW 2011 Getting Started window or download VIPM directly from jki.net. So Which VI Package Was #1,000,000? Appropriately enough, the millionth package was the OpenG Toolkit (if you have VIPM, click that link to install the package). 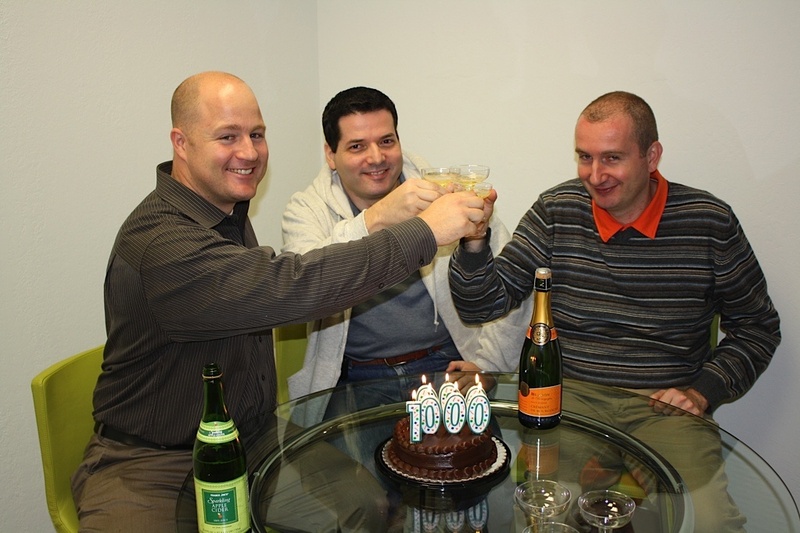 Congratulations to Jonathon Green and the whole OpenG team. Keep up the great work! Join the discussion in the comments! Do you have an idea for an awesome LabVIEW add-on? How long do you think it will take VIPM to get to 2 million packages? Tell us below.